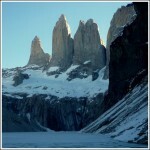 We went to Chile for the Torres del Paine’s W trek and arrived in the town of Puerto Natales to arrange our trek. 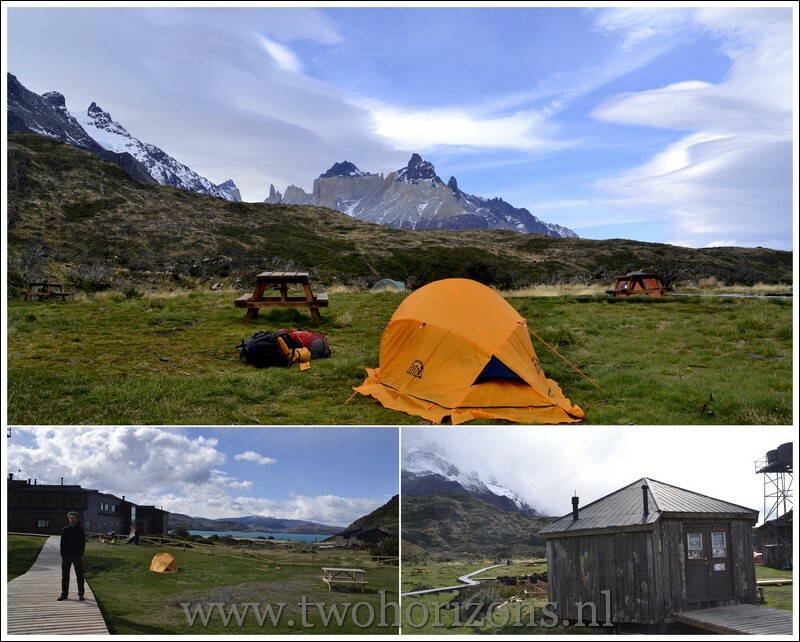 Lili Patagonicos was the perfect place to stay and we rented all our gear at the hostel and were able to leave our luggage during our hike. 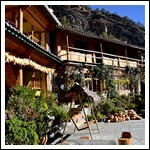 Carlos, our host was a wealth of information having done the trek so many times he lost count. He told us where to get dried food supplies, demonstrated how to set up our tent and advised us on which way to do the trek considering the weather (east to west or west to east). 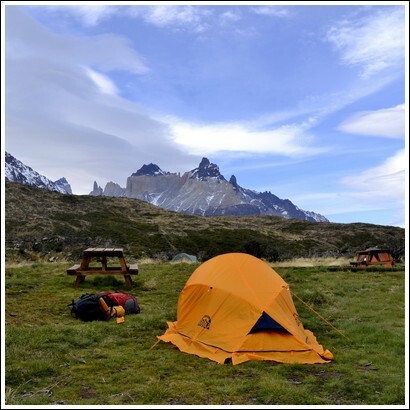 Torres del Paine has both campgrounds and refugios. 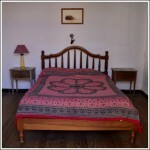 Refugios are quite expensive but have restaurants, shower facilities and are often in quaint wooden lodge style building. 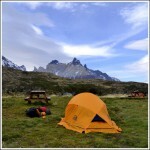 If you have your own tent or rent all your gear you can camp in the free or paid campgrounds. 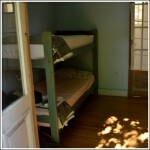 We went for the camping option and were extremely happy with our rented arctic sleeping bags. 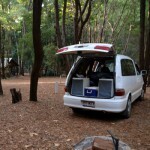 Free or paid, all campgrounds are set in idyllic surroundings and are perfectly situated for the trek. 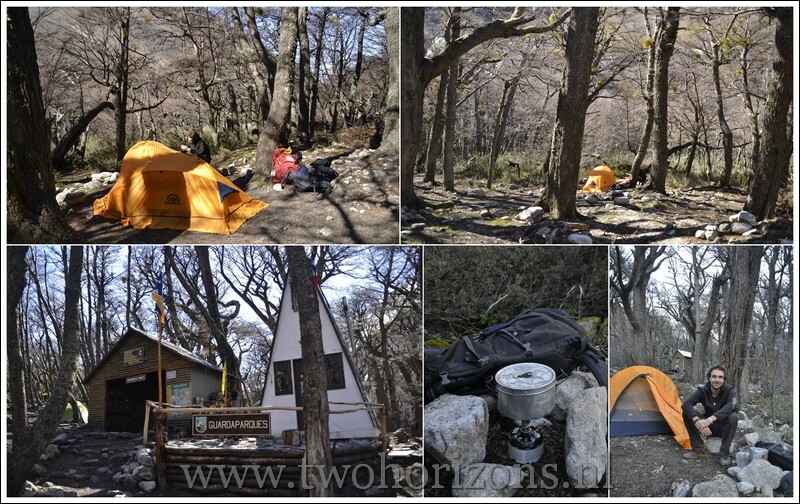 The free campgrounds were basic with only toilets and a ranger station so for showers we had to wait till we camped at the paid campgrounds which are located at the refugios. For some parts of the trek, the way the campgrounds are located allows you to first drop off your pack at the campground so you can hike pack-free for the day. 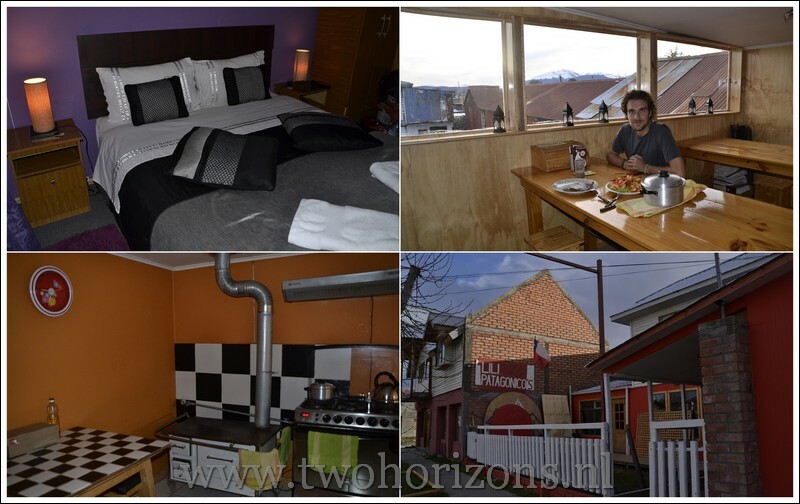 In Puerto Natales we paid € 31 for our hostel. 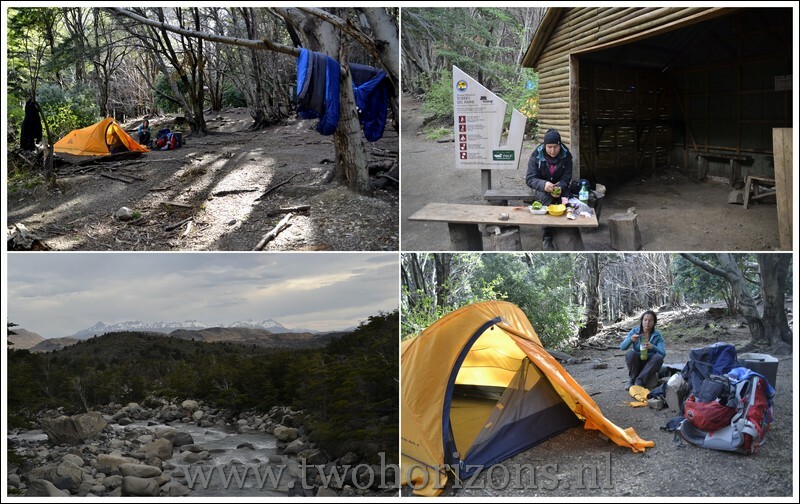 The Torres and Italiano campgrounds were free whilst the Paine Grande campground costs € 15 for the both of us including use of the shower and indoor cooking area. 19 Maanden getrouwd! 20 Maanden getrouwd!